What are the most common lakefront housing choices to be found in the lakes region? What are the top 5 attributes of a lakefront property? See our page "The Top 5 Attributes of a Lakefront Property". A camp is a seasonal home constructed to be used from mid Spring to mid Fall. Camps can be quite charming with hardwood floors, pine interiors, tongue in groove ceilings, screened porches and fieldstone fireplace. They are wonderful summer places. However, they are not year round homes. 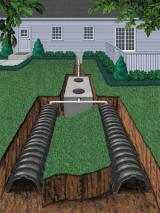 Typically they lack one or more of the following: 1) Proper insulation 2) central heat 3) cinder block, fieldstone or poured concrete foundation 4) a well or year round water source 5) a septic system which is qualified for primary home use. Why are there so many camps? Prior to the Interstate Highway System and the Maine Turnpike, the State of Maine was a remote, isolated geographic area. Prior to 1965, it took nearly 4 hours to get to the Sebago Lakes region from downtown Boston. Camps were built to be used during the summer when weather was at its best. What is the difference between a pond and a lake? Folks "from away" mistakenly believe that ponds are small and shallow and lakes are big and deep. The truth is that here in Maine the words pond and lake are used synonymously. So don't discriminate against ponds. Ponds can often be larger than some lakes. For example, Panther Pond in Raymond is 1,439 acres which is larger than Pleasant Lake of 1,077 acres, Highland Lake in Bridgton of 1,401 acres or Crescent Lake of 716 acres. Long Lake, the region's 2nd largest lake with 4,867 acres is only 59 feet deep while Coffee Pond with only 137 acres is 70 feet deep. Does it make much difference if a body of water is shallow or deep? If you are a fisherman, it sure does. Shallow waters do not support the cold water fisheries which limits the fishing to warm water varieties. What is the 30% Expansion Rule? Camps and homes built prior to 1990 within 100 feet of the water can only be expanded by 30%. As an example: a 1200 sq. foot camp can only be expanded by 360 sq. feet. Towns keep a record of how much, if any expansion is available. If you plan to buy and expand, check with the town's code enforcement officer before you buy. What is the 100 feet from the water rule? Today all new construction must be built 100 feet back from the water. In addition, no clear cutting can be done within that 100 feet. However, selective pruning and trimming are allowed. For example, 100' pines and hemlocks can be 'limbed' one third the way up (33 feet) to enhance your view of the lake. For more information, check with the town's Code Enforcement Officer. Milfoil is an invasive plant that is non-native. It grows quickly in shallow water and crowds out native plants. Swimming in lakefront waters contaminated with milfoil is not nice. What is being done to contain and stop the spread of milfoil? There is a concerted effort being conducted by local and state governments in conjunction with local Lakes Environmental Associations. Their efforts have been only partially successful. Do all lakes have milfoil? How many major lake regions are there in the state of Maine? There are four major lakes regions, but fine lakes and ponds can be found throughout the state. Check out Lakefront Locator. What is the size of the typical lakefront lot? The typical lakefront lot has 100 feet on the water and is about a half acre is size. Are there any ski resorts in the Sebago Lakes Region? Yes Shawnee Peak in West Bridgton at Pleasant Mountain is the 4th busiest ski destination in Maine. With Moose Pond at the foot of the Pleasant Mountain means that a home located there becomes a 4-season vacation get-away. For more information: http://www.shawneepeak.com. Sunday River located near Bethel has the best snow skiing in Maine. For those who want the best skiing should consider lakefront property on the Route 26 corridor between Gray and Bethel. For more information: http://www.sundayriver.com. Another ski area near Bethel is Mount Abram: http://www.skimtabram.com. 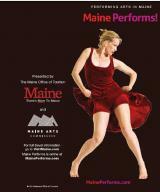 Additionally, you can visit the website: http://www.visitmaine.net for interesting information by Ski Journalist Heather Burke. 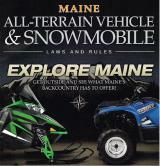 Where are the golf courses in the state of Maine? 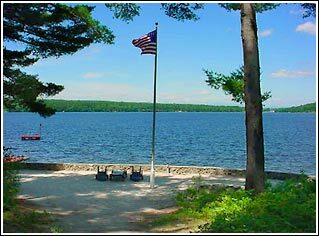 Are there marinas in the Sebago region? If you have any other questions, please email us at info@mrlakefront.net.